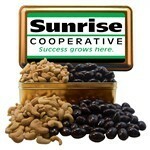 Looking for a way to thank customers, employees and business partners for their time? 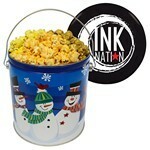 Hoping to move prospects down the funnel with a constant reminder of your services? 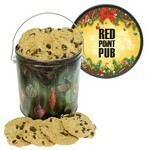 Wish you could outfit every corner of your company with branded products? 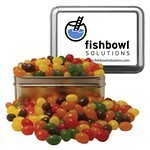 We can help you meet all of these goals and more with our custom logo cookie and candy tins. 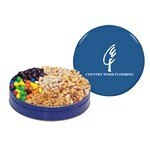 And let's hope you like options, because we have a ton of them, ranging from our promotional circle shape peppermint tin and the slider tin to the 2 gallon popcorn tin with logo and heart shaped tin. 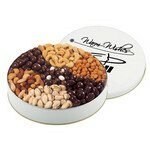 The 7 Way Grand Assortment Tin is a round tin gift box full of mixed nuts and chocolate covered raisins. 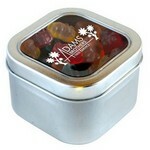 Our Gummy Bears in Large Square Window Tin includes a reusable container once the candy has been consumed. 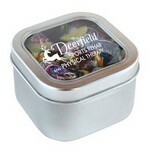 The Jolly Ranchers in Large Square Window Tin features delicious treats in a reusable tin box. 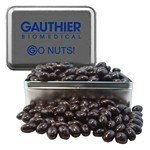 Our Large Rectangle Tin features gold and silver color options, Customizable with your logo for Brand Recognition. 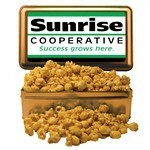 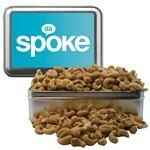 Our One Gallon Tin features four attractive tin designs and allows inserting custom details for Brand Recognition. 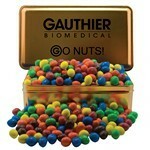 Our Small Rectangle Tin features gold and silver color options, Customizable with your logo for Brand Recognition.